When you’re building a product, creating a steady stream of customer feedback is crucial. Josh Porter puts this well: One has to go after feedback with a club. 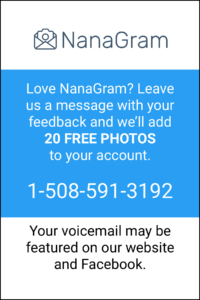 When I first launched NanaGram, a service that helps people mail printed photos in the mail to their loved ones every month, I posted to Reddit’s /r/shutupandtakemymoney and it unexpectedly blew up. I was inundated with comments. While I love Reddit, the commenting medium tends to be less useful than other mediums like phone calls and user interviews. Plus, blowing up somewhere has the downside of being a temporary spike when startups are about evolving and need constant feedback. The highest quality customer feedback tends to come from mediums that require the most work. These hard-work mediums tend to put you closer to the customer, ideally as they’re facing some sort of problem. Support phone calls and user interviews are two of my favorite feedback mediums. Written, digital feedback (live chat, email, surveys, social media, etc) suffers from a huge drop in fidelity of emotion. Emotions, like whether someone loves, dislikes, or is indifferent about something, are much easier to pick up when you can hear someone’s voice. It’s like the difference between an early 2000s, low-quality MP3 downloaded from Limewire playing through your phone vs. a vinyl record on a pair of hi fidelity speakers. Makers need a steady stream of high-quality feedback to create and grow something great. Since then, I’ve been getting 2-3 voicemails per week. The pure joy and excitement for NanaGram is like maker jet fuel for me. I’m taking this a step further, sending thank-you notes with stickers and calling back each person who leaves me a voicemail. Go after feedback with a club! Text or email your photos and we'll mail 4x6 prints to your loved ones. Subscribe to email updates from the NanaGram blog. I only publish awesome content, no more than once a week.